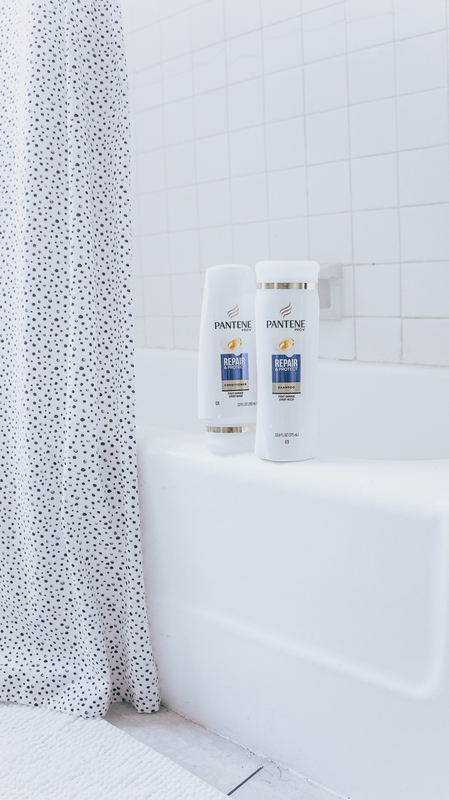 Here’s something you may or may not know about me– I am a longtime Pantene user. 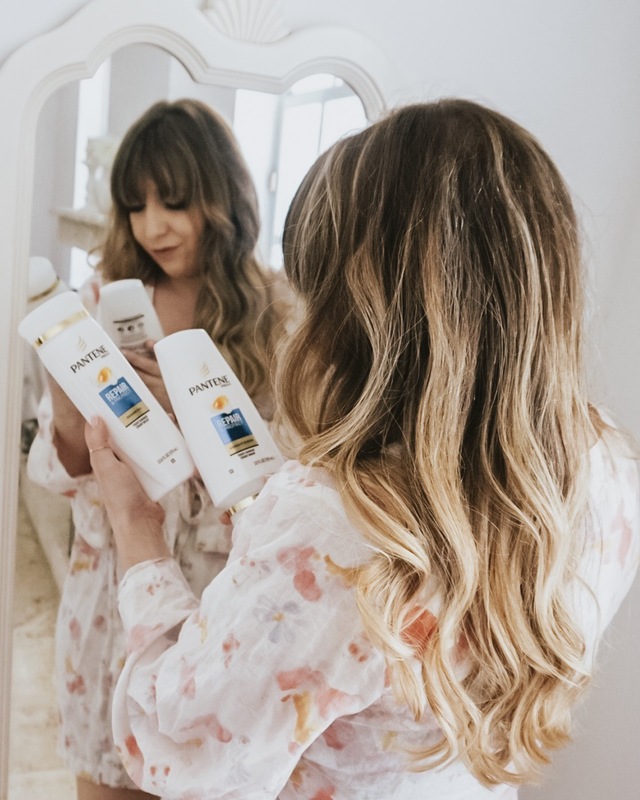 I’ve tried different product lines, for sure, but when I run out of shampoo and conditioner, I head straight to the Pantene aisle. I’ve done so since high school! 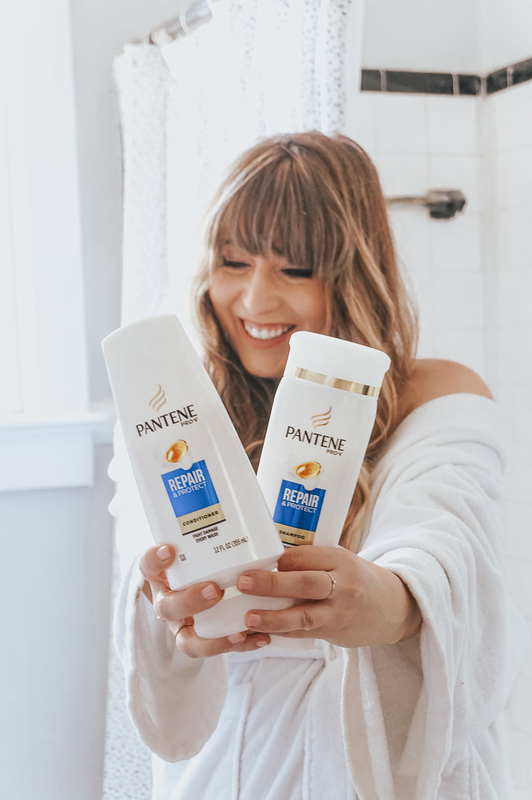 Since I’m such a natural fan anyway, when I heard about the Pantene 14 Day Challenge, I was totally excited to give it a try. 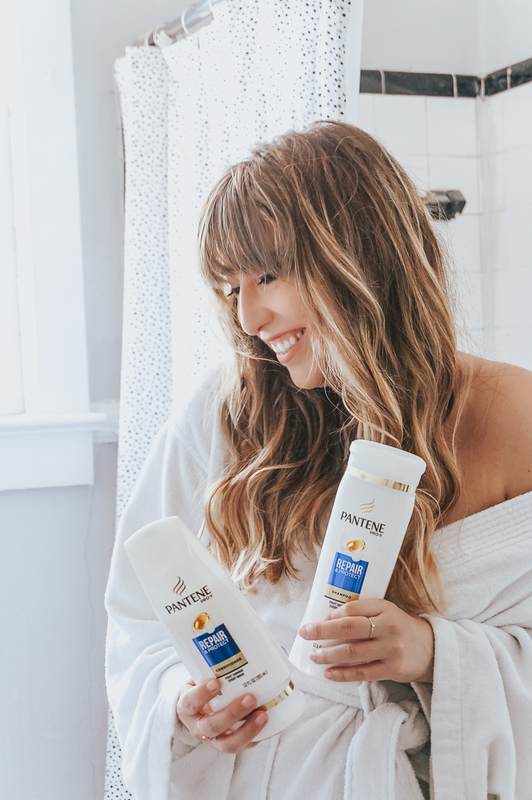 The challenge: switch to a specialized Pantene product collection for 14 days to see more great hair days and fewer bad hair days. 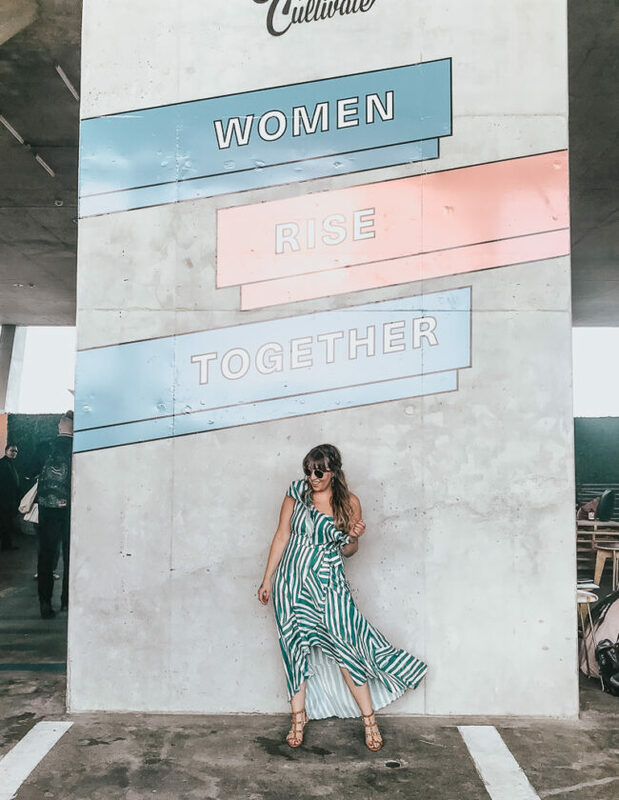 That sounds good, right? Sign me up. 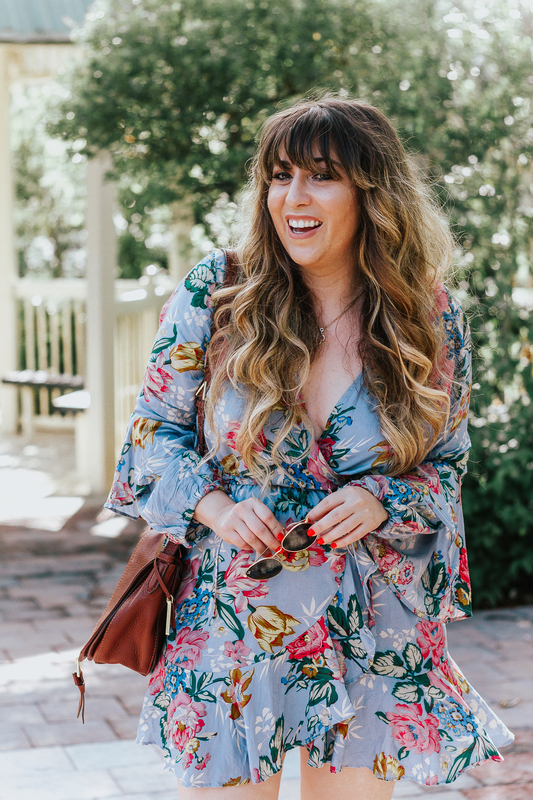 Right before embarking on the Pantene 14 Day Challenge, I went and had my color touched up. 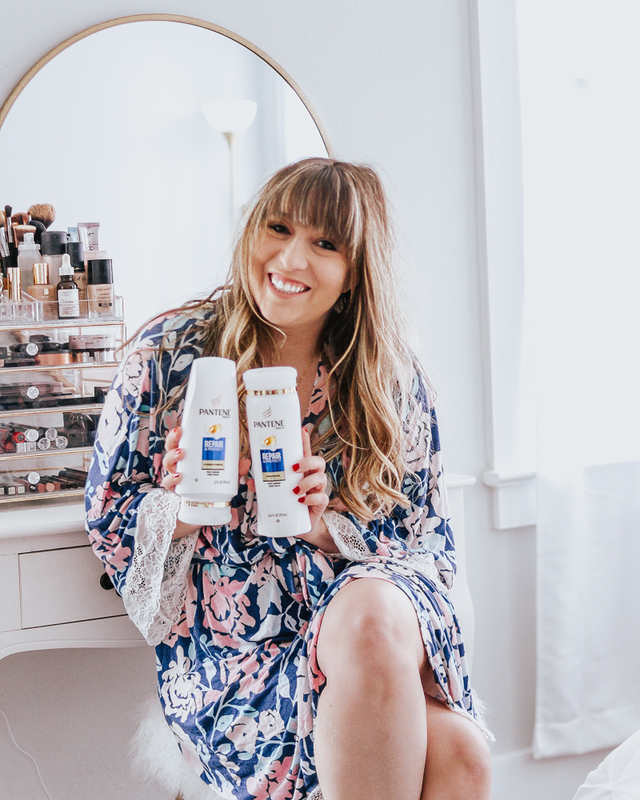 When it came time to choose a product line, it was a total no brainer– I wanted to try the Pantene Repair & Protect Shampoo and Conditioner. 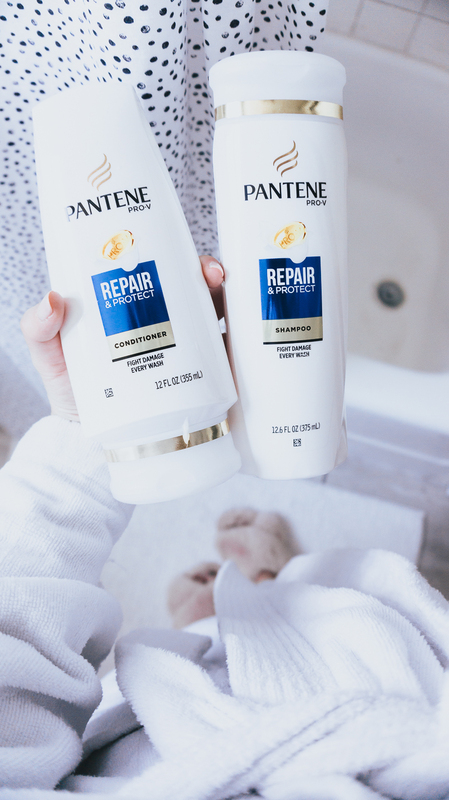 The Pantene Repair & Protect Collection makes some pretty solid claims: protect hair from environmental factors to heat damage, smooth the hair cuticle and reinforce the hair’s outer layer, reinforce weak spots along the hair fiber, and Pantene’s first-ever shampoo with anti-oxidant damage-blocking tech which targets, captures and helps reduce copper build up on hair to prevent oxidative damage. So, did it work? Yes!! I noticed that right away my hair was a lot easier to style and more manageable. Color is still going strong, hair is super shiny. I’ve also noticed that my hair dries a lot faster and smoother. 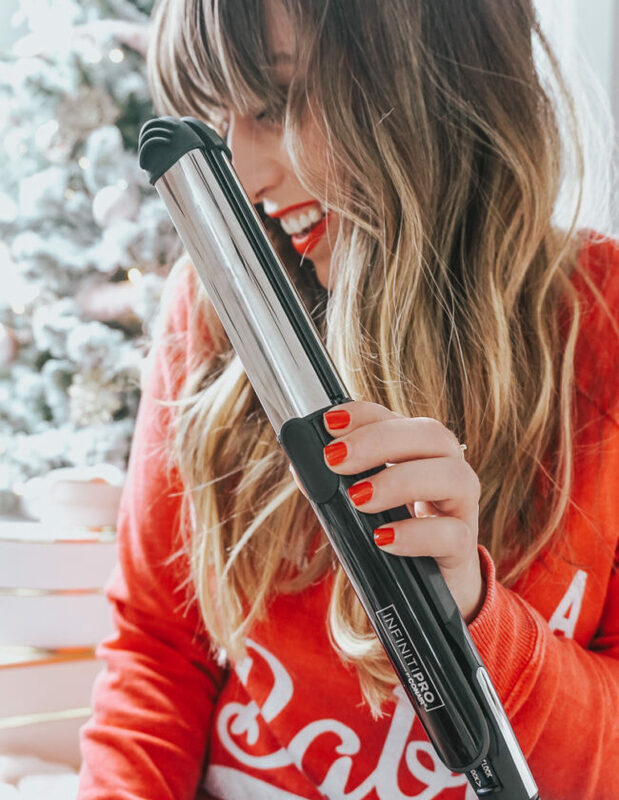 Typically, I always have to flat iron my bangs or they get crazy frizzy… in the 14 days that I’ve been using the Repair & Protect Collection, I’ve noticed that I can get away with not flat ironing them! 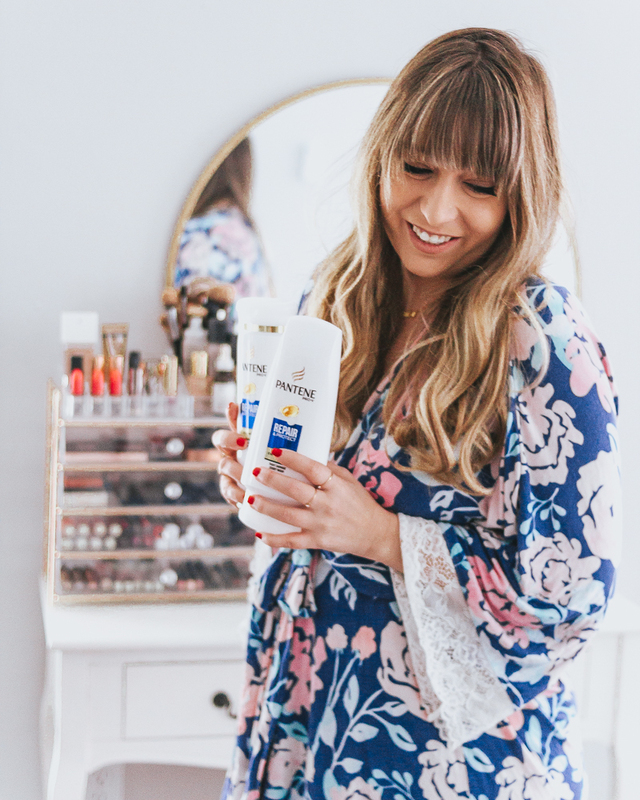 After washing my hair, I’ve also been using the Pantene 10-in-1 Beauty Balm before styling. 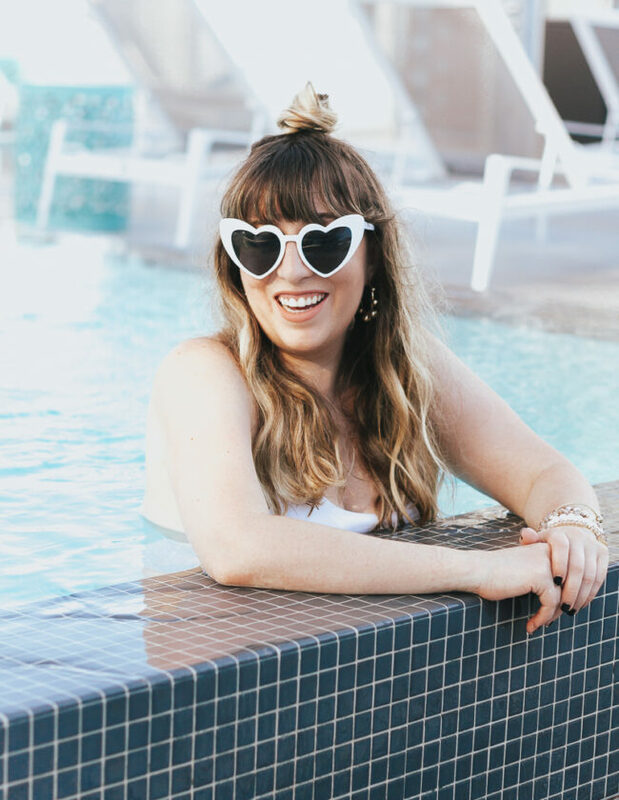 It’s really gone a long way in helping me get really smooth and polished beach waves… my go-to style, as you all know! Overall, I’ve been really happy with my hair the last 14 days! The last two weeks have been back-to-back great hair days, which is basically exactly what we all want, right?! 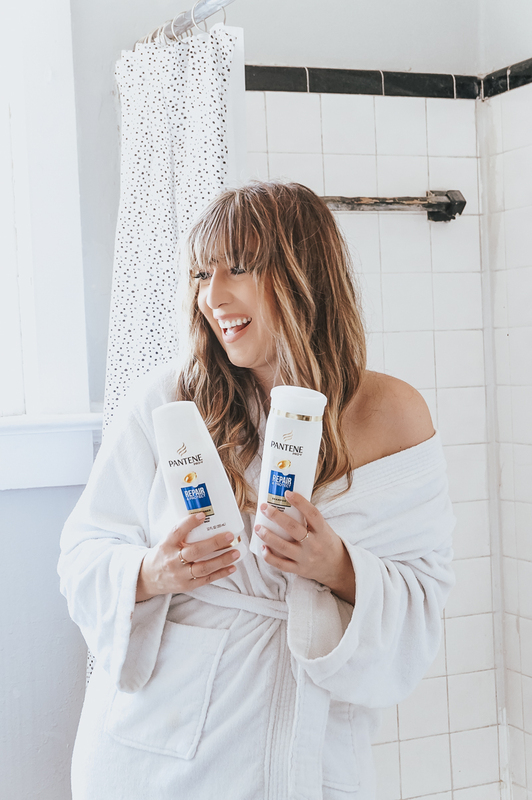 I’ll continue using Pantene, as I have been for years… but right now, I can definitely say that my new go-to product collection is the Pantene Repair & Protect Shampoo and Conditioner! 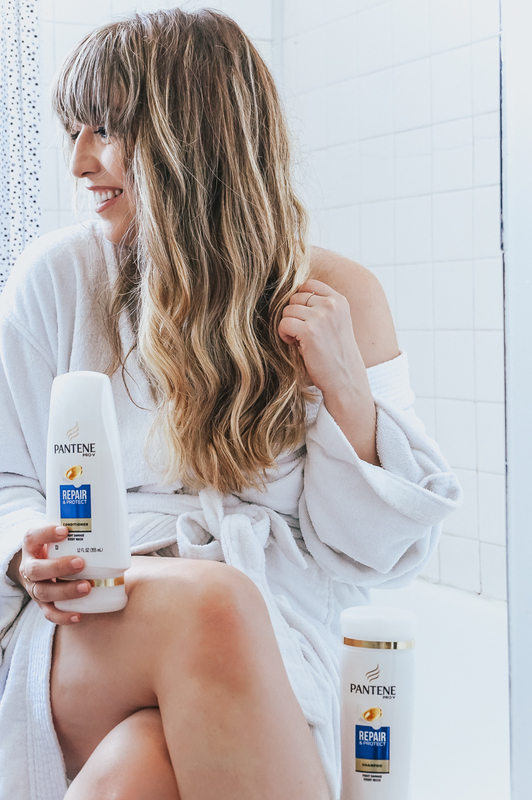 How about you– have you tried Pantene? Let me know in the comments! 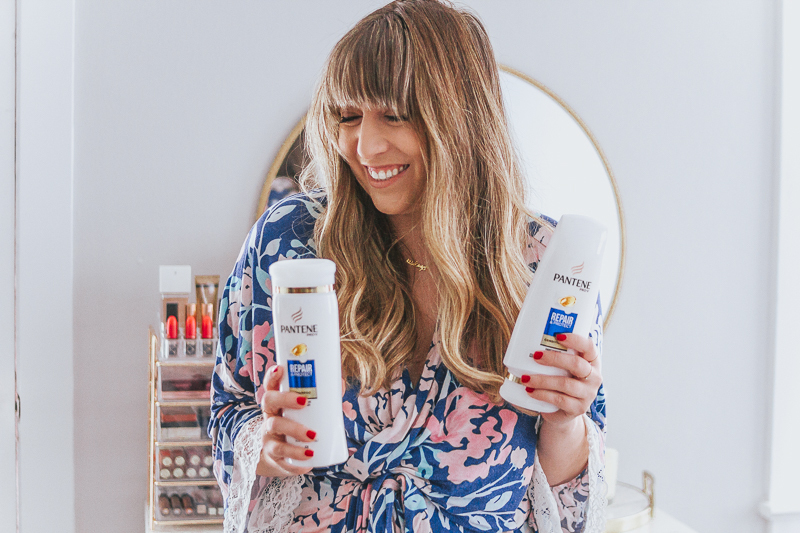 If you’re interested in learning more about the Pantene 14 Day Challenge, or taking it yourself, head here for more info!